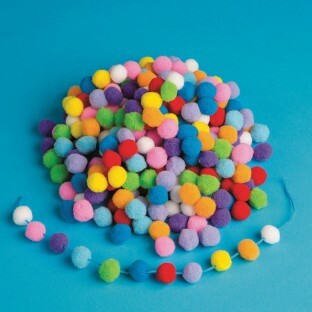 Bag of 1,000 pom poms in ultra dense material – almost resembling “felted” balls. 1.5cm poms (almost 5/8) are perfect for any craft application. Assorted bright colors include white, pink, red, blue, sky blue, green, light purple, dark purple, yellow and orange.